St. Martin's Griffin, 9780312552206, 432pp. 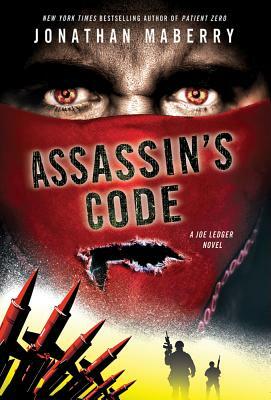 In ASSASSIN'S CODE, the fourth book in New York Times bestselling author Jonathan Maberry's Joe Ledger series, Joe Ledger and the DMS go on a relentless chase to stop an ancient order of killers from plunging the entire world into Holy War. When Joe Ledger and Echo Team rescue a group of American college kids held hostage in Iran, the Iranian government then asks them to help find six nuclear bombs planted in the Mideast oil fields. These stolen WMDs will lead Joe and Echo Team into hidden vaults of forbidden knowledge, mass-murder, betrayal, and a brotherhood of genetically-engineered killers with a thirst for blood. Accompanied by the beautiful assassin called Violin, Joe follows a series of clues to find the Book of Shadows, which contains a horrifying truth that threatens to shatter his entire worldview. They say the truth will set you free…not this time. The secrets of the Assassin's Code will set the world ablaze.